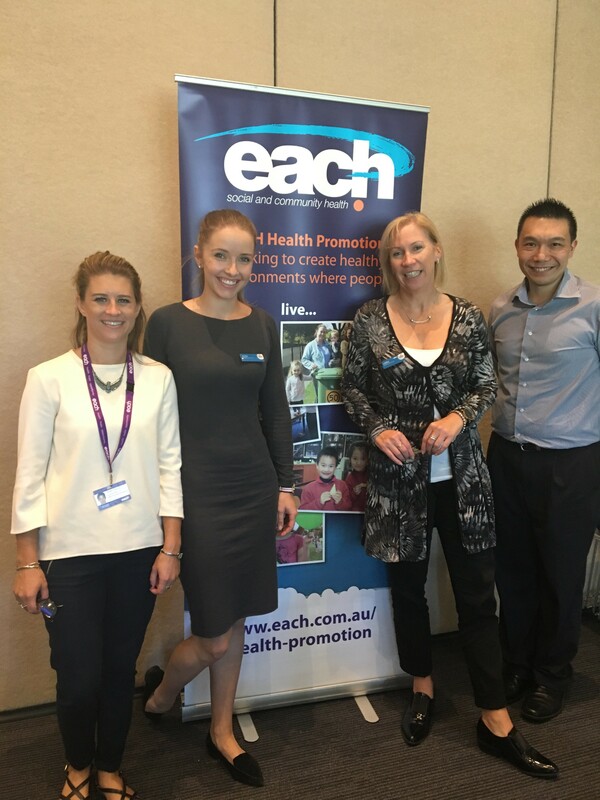 With the help of our dieticians – Sheldon and Ivan, EACH’s Health Promotion team held the first Cooks Network event for 2017 as part of The Victorian Government’s Achievement Program last week at Knox City Council. Cooks from long day childcare centres within Knox and Maroondah were invited to learn about Healthy Eating in young children, risk factors for fussy eaters, managing allergies and intolerances, food replacers to manage allergies and intolerances and ideas on how to promote Healthy Eating within their service. The Cooks Network is a great opportunity for Cooks to work on changing their long day care menu to meet state-wide benchmarks for Healthy Eating as part of The Achievement Program. Michelle Males, Cook from Rowville Children and Family Centre said “I really enjoy The Achievement Program Cooks Networks as it gives me an opportunity to talk to other cooks from local centres, and we get a chance to share recipes and gain advice around challenges that we face. I also found it really beneficial listening to EACH dietician Sheldon Oliver and gaining professional advice on how to manage allergies in the centre. Gaining more of understanding that it is not only food that can cause an allergic reaction is very helpful”. 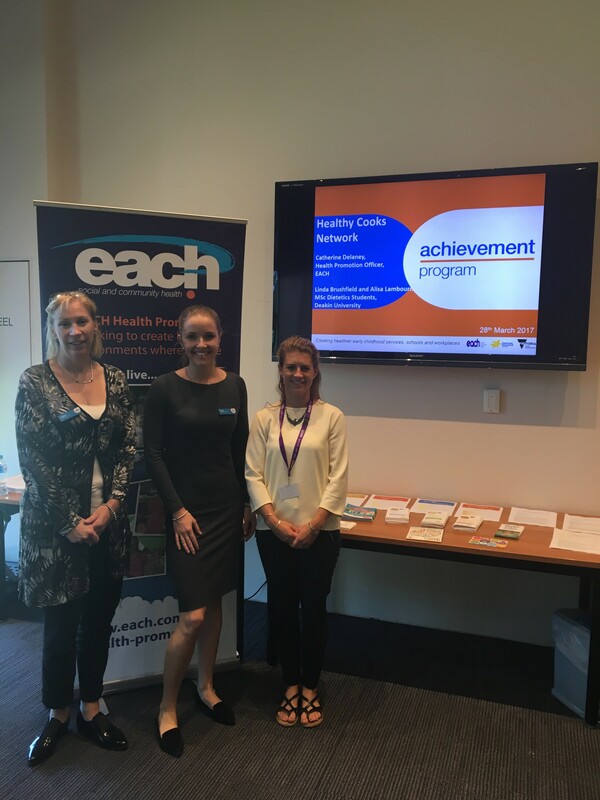 Catherine Delaney, Health Promotion Officer at EACH, would like to say a special thank you to Deakin MSc students who presented on the above topics at this Cooks Network. “The Cooks left very positive feedback about the student’s presentation and found them very informative in assisting them to create healthier learning environments within their centre,” said Catherine. For further information on the Cooks Network, contact Catherine Delaney, Health Promotion Officer on 9757 6278 .